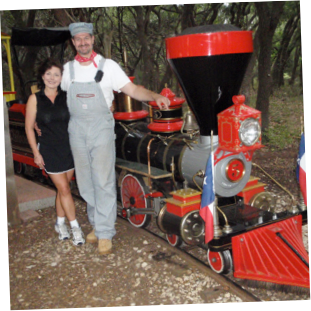 The Cedar Rock Railroad is owned and operated by a little company started by Ken Knowles and his very..., no, exceedingly patient and understanding wife, Holly. place to operate it! But... not so fast. drive system for the locomotive that turned out to be ground-breaking, but that's another story. cake!" Ken thought out loud, while Holly thought to herself "OMG, we're nuts!". tears truly went into that endeavor! story - that was some cool karma). Rock (hence the name: Cedar Rock) and we would love to meet you.